I was a francophile long before I was an oenophile, and I’ve lived and holidayed in numerous parts of France, but if I had to pick a favourite, it would be Beaujolais, with neighbouring Mâconnais a close second. The cuisine here is sensational – it can be hearty, it can be refined, it’s frequently both on the same plate. As for the wines, it’s become a cliché to describe them – both Cru Beaujolais and the best whites of the Mâconnais – as underrated, but it remains true. A groundswell of talent, commitment (to organic and often biodynamic viticulture, but above all to quality) and collaboration between like-minded winemakers is resulting in better wines than ever before. Then there’s the atmosphere: the winemakers of Beaujolais are renowned as party animals, and their joie de vivre is infectious. Expect tastings here to overrun. On the down side, winters can be as gruelling as they are in the Côte d’Or but, with a little luck, from late spring, this is the place where a British traveller begins to feel the warm embrace of Southern Europe, a sensation reinforced come mid-June, when the cicadas commence their hypnotic song. So many Brits visit the Côte d’Or that at times – not least autumn, when the wine trade descends en masse – Beaune feels like a smart, leafy London suburb. But surprisingly few of these visitors, be they on holiday or “business”, venture the 90 kilometres south to Mâcon (an hour’s drive on the A6). Mâcon, a pretty if unspectacular town of thirty thousand inhabitants, is a pleasant place to start your tour. Like many French towns, it comes alive on Saturday morning, during the weekly market on the Esplanade Lamartine, overlooking the River Saône. The Saône here is wide enough to have been used, in the thirties, as a runway for seaplanes travelling from Southampton to Greece, Egypt and Italy – on which note, La Dolce Vita is among Mâcon’s best addresses for lunch, but skip the Italian food in favour of tartare de bœuf or andouillette-frites, both stellar accompaniments to a bottle of Cru Beaujolais. A favourite of local winemakers, “La Dolce” has a short but well-curated wine list. For dinner, and a more expansive list, including illustrious names from the Côte d’Or (Vougeraie and Lafon, to name but two) and Rhône Valley, head to Ma Table en Ville, a stylish, contemporary bistro, whose talented team also operate Ma Table en Vigne. The latter is a collaboration with Camille Paquet (https://www.bbr.com/producer-3909-domaine-camille-paquet), which gives guests the opportunity to enjoy a four-course lunch cooked à la plancha in the stunning surrounds of Camille’s vineyards, in Davayé. There’s little to choose between Mâcon’s handful of three-star hotels, so go for the cheapest option and treat yourself to an extra bottle or two at dinner. 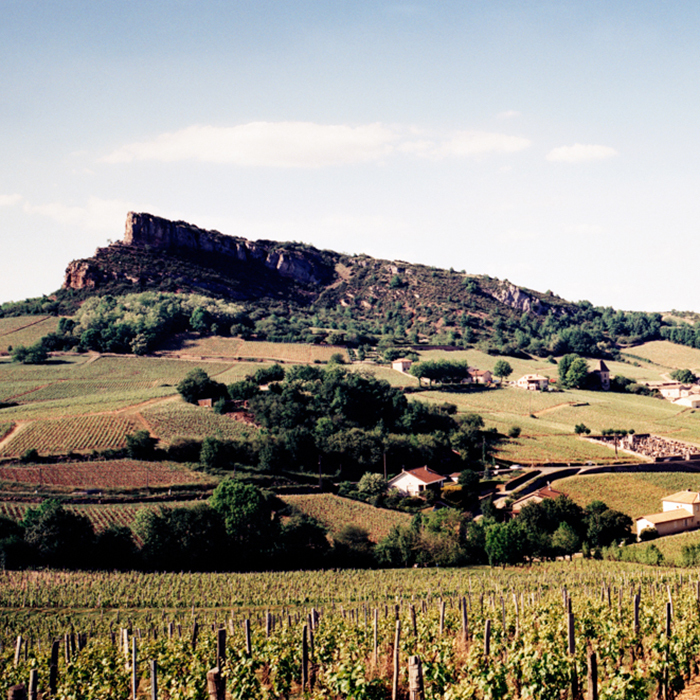 The vineyards of the Mâconnais lie only a few kilometres from town, but you’ll need a car to explore them. Most of the domaines we work with are glad to receive Berry Bros. & Rudd customers for tastings but be sure to make an appointment in advance (Cellar Planners should contact their Account Manager). Villages such as Vergisson, Prissé and Fuissé, whose raison d’être is the wine industry, tend to be sleepy – unless your arrival coincides with a fête du village (which typically take place from May to July) – but all have their charms. Vergisson, for example, offers a peerless view of the most distinctive landmarks of the Mâconnais; the twin escarpments of Vergisson and Solutré. Take a peak too at Olivier Merlin’s recently acquired parcel of vines in the Clos de France, in the heart of the village, beside the church. Nearby Prissé boasts excellent cheese and wine shops – called, predictably, the Fromagerie des Deux Roches and Cave des Deux Roches – while Fuissé is home to L’O des Vignes, a Michelin-starred restaurant and adjoining wine bar. The wine bar serves an exceptional pâté en croute, as well as a reasonably priced plat du jour for both lunch and dinner. A stone’s throw from Fuissé is Vinzelles, where the Bret Brothers are based at Domaine de la Soufrandière. The Brets, Jean-Phi and Jean-Gui, are compelling advocates for biodynamic viticulture, and a visit here is as thought-provoking as it is fun. The narrow road from Vinzelles to Chaintré skirts their meticulously tended parcel in Les Quarts; a vineyard prized for its easterly aspect, quartz-rich soils and wealth of old vines. At the opposite end of Les Quarts – in the appellation of Pouilly-Fuissé rather than Pouilly-Vinzelles – is another of the most distinguished domaines in the Mâconnais, Château des Quarts, owned by Olivier Merlin and Dominique Lafon. From Chaintré, follow signs for St Amour, and watch the neat trellises of Chardonnay give way to unruly, untrellised (en gobelet) Gamay. Note how the soil becomes thinner, with protrusions of blue and pink granite – a classic element of the terroir of the Beaujolais Crus. Located at Le Plâtre Durand, one of three hamlets that comprise the commune of St Amour, is L’Auberge du Paradis, a Michelin-starred restaurant and hotel. Next door is the auberge’s less formal sister restaurant, Joséphine à Table: again, the plat du jour is tremendous value, and the poulet au vin du Jura (available evenings only) a thing of beauty, but it’s the wine list and ambience chez Jojo that stand out. Diners are invited to grab whichever bottle they desire from a chilled cabinet, and super-glue its pulled cork to the restaurant’s ceiling. 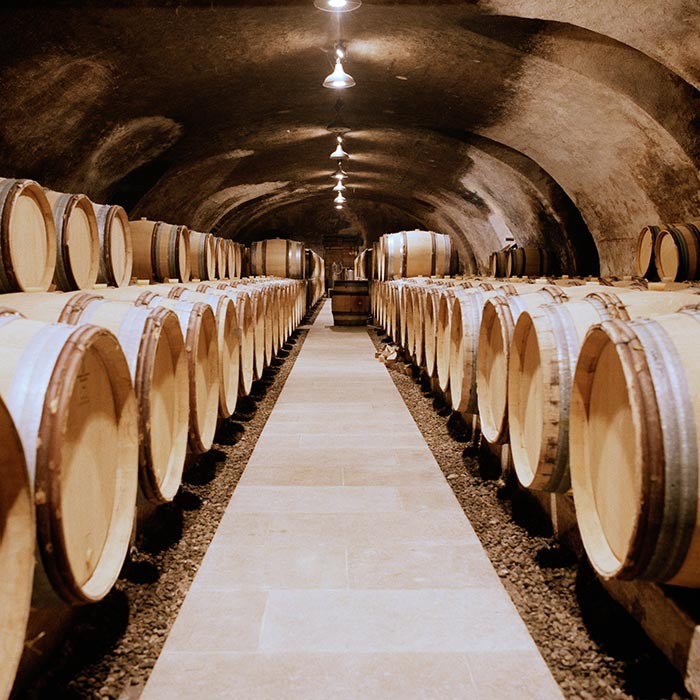 With keenly priced wines from such luminaries as the Brets, Julien Sunier and Château Thivin – and a significant surface area of ceiling still visible – you won’t want to hold back, so consider booking a room. Having experienced them organoleptically, it’s all the more rewarding to experience first-hand the distinctions between the terroirs of the 10 Crus. Perhaps most impressive are Chiroubles, whose vineyards climb above the cloudline near Avenas; and the vertiginous, rocky slopes of the Côte de Brouilly. Also worth a detour is the town of Beaujeu, with its lively Comptoir Beaujolais (a social club run by winemakers) and the Maison du Terroir Beaujolais, which hosts regular tastings and exhibitions. 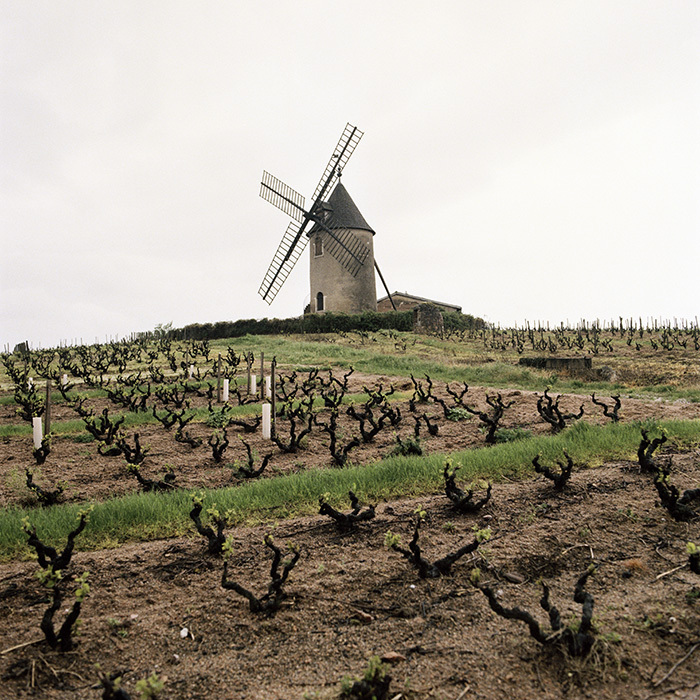 Beaujeu’s annual Salon des Vins du Beaujolais takes place in May. An even greater celebration of all things Bojo is Bien Boire en Beaujolais, comprising three days of tastings across three venues in mid-April. Complete your trip in style with a night or two in Lyon, whose gastronomic scene merits an article of its own. Flights from St Éxupery are plentiful, but the most civilised way to return to the UK is by Eurostar – ideally having consumed a dozen oysters and a carafe of Mâcon-Villages at Les Halles Paul Bocuse, and equipped for the journey with a bottle of Cru Beaujolais, a baguette and an array of charcuterie.